Saab Australia applauds BAE Systems Australia on being selected to deliver Australia's next-generation Future Frigates after successfully securing the lucrative $35-billion contract, beating out rivals Navantia and Fincantieri. “We warmly welcome the selection of BAE Systems Australia for the Future Frigate project, and we anticipate continuing strong co-operation between our companies as the design and development process progresses. We now eagerly await the start of the work,” says Andy Keough, managing director of Saab Australia. Saab Australia and BAE Systems Australia have enjoyed a long and successful collaboration on many naval programs, including the highly successful ANZAC frigate, and now look forward to continuing the close working relationship on this major shipbuilding project. It was announced in October 2017 that Saab Australia would develop and supply the tactical interface for the nine new ships being built under the Future Frigate program. Saab’s involvement in the Future Frigate program is the latest chapter in the company’s 31-year history of supporting the Royal Australian Navy. The 9LV Combat Management System was selected for the ANZAC class frigates in 1987, and it is now installed, or contracted for delivery, in four classes of RAN ships for a total of 24 vessels. For the Future Frigate program, the 9LV tactical interface will be integrated with the US Aegis system and the Australian-designed-and-built CEAFAR 2 phased-array radar. 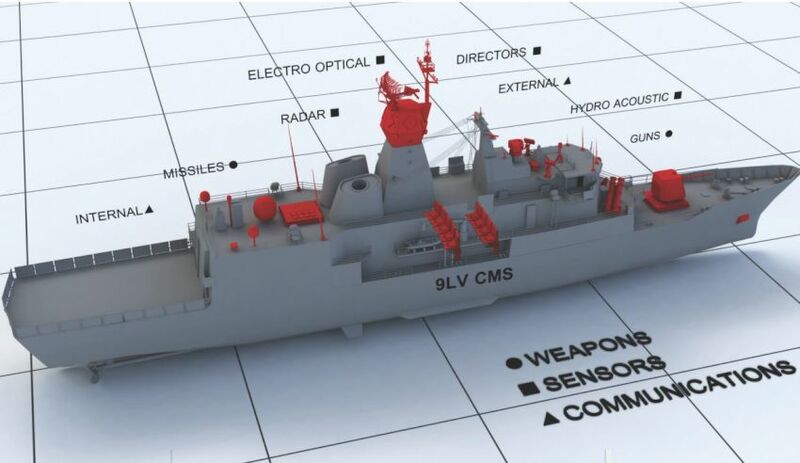 “The combination of BAE Systems first-class Type 26 frigate design and Saab’s tactical interface, based on the 9LV Combat Management System, will provide the Royal Australian Navy with a world-leading capability of which Australians can be truly proud,” Keough said. Saab has shown strong commitment to Australia through such initiatives as the development of a purpose-built research and systems-development centre in Adelaide as well as close engagement with local universities, technical colleges and schools to grow our future engineering workforce.